Is it really healthier than ice cream? As one of the finest treats that Italy provides (Florence, more precisely), gelato is always welcome. In Italy and places with strong Italian influence (like Argentina where I am originally from), this is a treat you enjoy mainly as a snack. Gelateria is the name of the shop that sells them in different flavour combinations, all temptingly displayed full of colours, to be spooned in front of your eyes into cones that can range from 1 to 3 scoops or into more elaborated cups. It is not unusual to find drinks and pastries also offered at such places. But a gelateria is much more than that: it is favourite pastime, it is a social place where you go to see people, and to be seen. When I still was living in my home city of Mendoza, Argentina (yes, the one famous for its Malbec!! ), the best gelati (plural) were those from “Soppelsa”. Soppelsa has over 80 years of history in Mendoza, settled by Italian migrants and they have been producing delicious ones since. You could click in "PRODUCTOS" at the Soppelsa website to have a look, even if you don't read Spanish, the video is easy to follow; or you could read the comments left by visitors worldwide at tripadvisor’s. So, Soppelsa have been my utmost reference for gelati, without any doubt. And when years later I visited Florence and tasted theirs, the first thing that came to my mind was “it is as good as those from Soppelsa”! I didn’t know at the time that the real merit was the other way around!! If you live in a place where heading for a gelateria just around the corner it is not an option, you can always make your own version at home and enjoy it as a snack or as a dessert, on its own or as the base for a more elaborated delight. As a snack during the warm months of summer or as a dessert to be enjoyed all year around, it is always a success! Once you know how to make the basic recipe, the rest is up to you, and the only limit is your imagination and creativity!! Soppelsa even offers variations made out of Malbec, our other home speciality! Did you know that gelato is healthier than ice cream? Or should I start by saying that gelato is not really the same than ice cream! 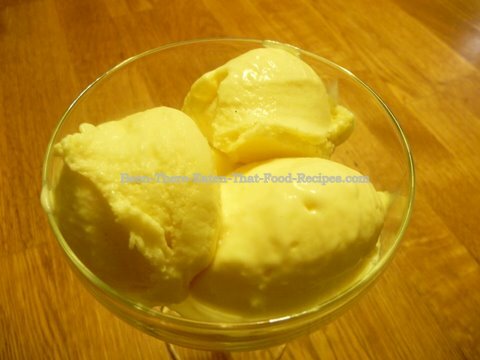 In fact, it is creamier, richer, more intense in flavours than ice cream and heavier too (more weight per volume). Gelato has between 5-7% fat versus the minimum of 10% fat that ice cream is required by law to contain (FDA regulations). It is also denser because it contains less air beaten into the mix, aprox. 25-30%, compared to about 50% in ice creams. Even though gelato literally means “frozen” in Italian, it is not really served frozen, it is kept at a bit warmer temperature than ice cream. The taste is improved by the addition of only fresh and seasonal natural ingredients, by the lower amount of fat in the mix (therefore, your palate doesn’t get coated on fat allowing all the flavours to be perceived more intensely), and also by the fact that because is not eaten so cold, the taste buds can sense the flavours in all their magnitude . Gelato also has a higher sugar content that ice cream (16-26% versus 12-16%, respectively). Actually, the sugar-water content of gelato is balanced to work as an anti-freeze and prevent it from freezing hard. So, I guess that now we can agree that considering gelato as a synonymous of Italian ice cream is not really right. They are very different indeed!! Coming back to the claim that gelato is healthier than ice cream, it is so because it contains only natural ingredients, less calories per serving and less fat that the equivalent amount of ice cream. Having stated that this recipe is for 4-5 servings I must admit that I always make at least twice this amount for my 5 family members. You see, it is so popular!!! You don’t need and ice cream or gelato machine, although I am sure they must be of great help. Myself, I made mine by hand. I only make sure to stir the mix once in the freezer every 20-30 minutes until settled. 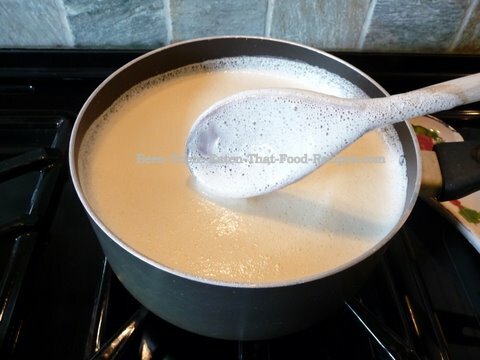 -Pour the milk, the cream, half the sugar and the vanilla pod if you are using one (carry on reading: “extra flavours”) in a saucepan at a low heat until just about to boil, stirring with a wooden spoon. Remove the saucepan from the heat and leave it to chill until just warm. The vanilla seeds will be all over the mix. Do not panic. Once the mix is warm (not before, to optimise the exposure to the seeds for that extra flavour), you can remove them by using a very fine sieve or just leave them in, they contain all the taste!! 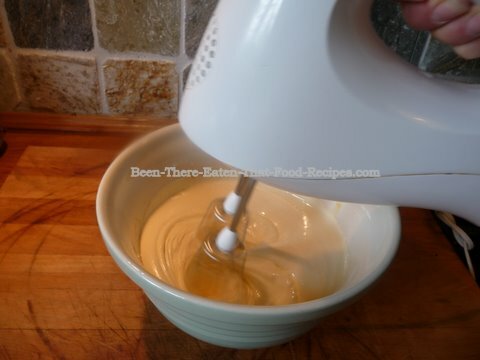 -Meanwhile, beat the rest of the sugar and the yolks until creamy and lighter using an electric mixer. -Once the milk mixture is warm (or at least, not hot enough to cook the yolks!) add the creamy yolks into it and mix until all homogeneous and foamy. 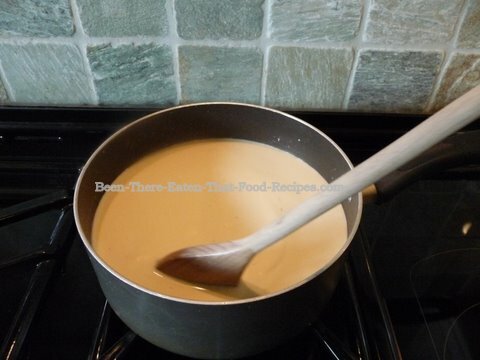 -Take the mixture again to a low heat. This part can be a bit tricky, so do not neglect the mixture at this stage! 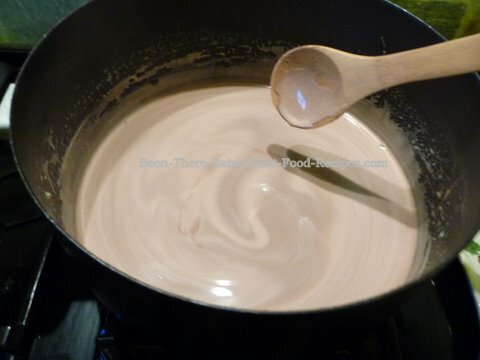 Keep stirring the mix slowly and continuously until the mix start getting thicker. The trick is to wait until thick (when it can slightly coat the wooden spoon) but before boiling (otherwise, the eggs will curdle). 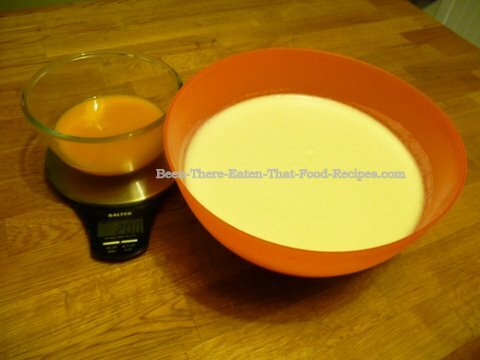 Once thickened, remove from heat and transfer to a mixing bowl to cool down in the fridge. 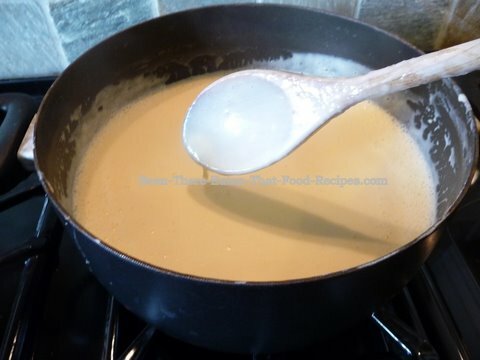 The mixture should look homogeneous, but if not, consider passing the mix through a fine sieve. If you followed the instructions carefully, you shouldn’t need to. Note: at this stage you add the fresh fruits (as puree, juice or in small pieces), the cocoa powder, or the nut paste if opting for these flavours (see below: "extra flavours"). 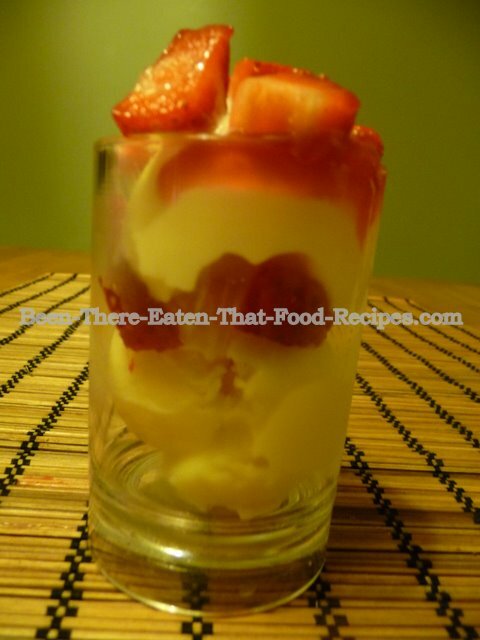 -Once the mixture looks thicker and is completely chilled, transfer to a gelato (or ice cream) maker and follow its instructions, or cover and take to the freezer making sure to stir it every 20-30 minutes until settled. Remember to remove it from the freezer 10-15 minutes before serving, since gelato must have a soft and creamy texture, never a solid frozen one! 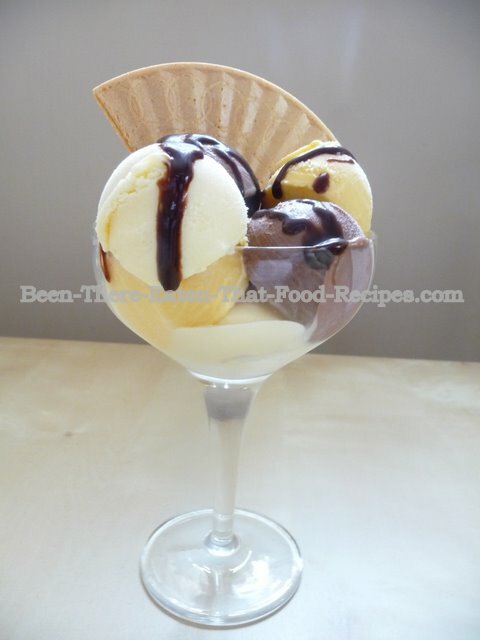 -Now you have a basic gelato, that is delicious on its own, or serve with fresh berries, melted chocolate, fruit sauces, or as the base for a more elaborate cup or dessert. As I mentioned at the beginning of the recipe, I always make far more than one batch. Ideally, I make two batches of three different flavours, to combine them in more elaborated and publicly acclaimed cups! 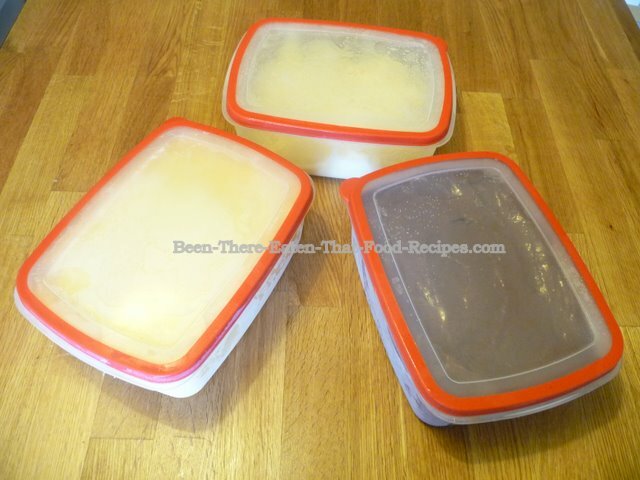 !If you are busy like me, or just don’t fancy spending much time in the kitchen in one go, make one flavour at a time and keep it in sealed containers in the freezer until all flavours are ready to assemble in the cups. •	If you chose to include flakes, nut in pieces, cookies, or biscuits, do so after freezing, just before serving. In the picture below: vanilla, mango and chocolate flavours, combined in a cup with melted chocolate and waffle fan as finish and decoration.